Check out these great previews for KaleidoCycle in the Regina press! This fantastic mask was made by Chrystene Ells, Co-Producer and Designer of KaleidoCycle. 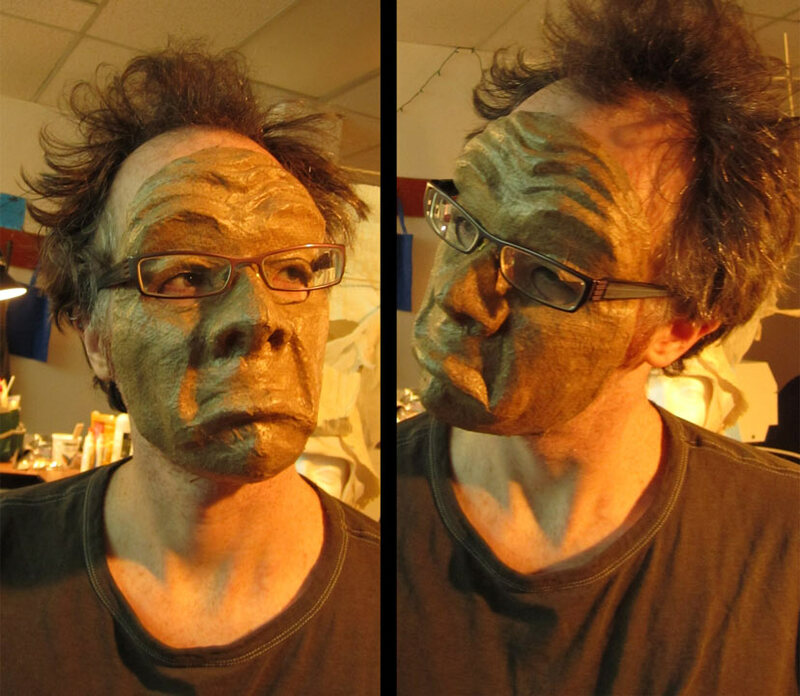 I tried it on today and did some mask character developing with the direction of Chrystene. What an intriguing discipline! Our Cast List has been updated on the Globe Theatre website and looks really slick. What a great team! I went with Co-Producer Chrystene Ells to Wascana Park and shot a couple rolls of Super 8mm black and white film to be used as projection art in KaleidoCycle, a play set to open at the end of May, 2012 at the Globe Theatre [KaleidoCycle page on the Globe Theatre website]. Over the weekend the film was hand processed as a negative image in buckets in the basement lab of Daniel Suchoboki [who donated his facilities]. The results were fantastic! These images will be projected on some of the performers live during the play.